A family member recently asked for my recommendation for a good points-earning credit card she could use for her business expenses. She spends around $1000 a month on product for her small business. Right now she’s using a non-points-earning bank card. This family member is in a pretty common position. She doesn’t want to dive headfirst into the points and miles game, but she understands there’s value to be gained when making those purchases. She doesn’t want to juggle multiple cards or frequently open new accounts. In a case like this the decision of which card to get is actually simple. All you have to do is find the single best card out there. The best credit card, period. 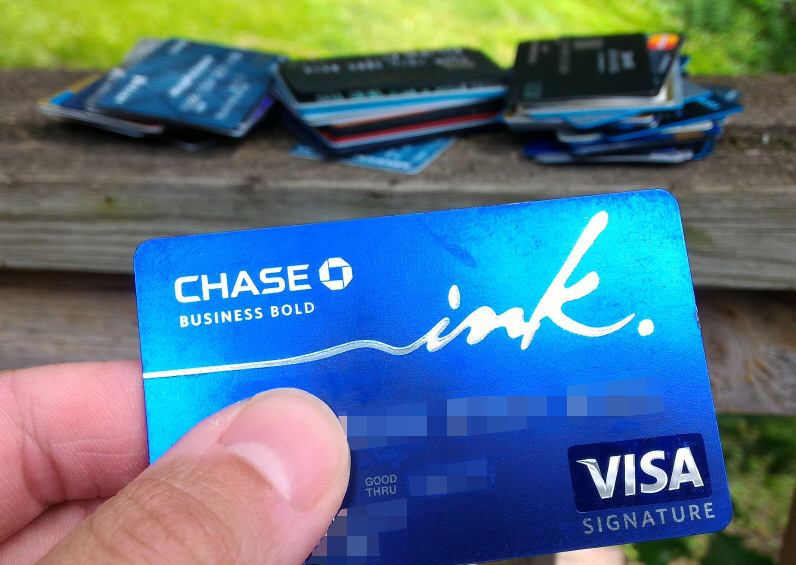 When I started thinking about which business card to recommend, my first reaction was the Ink Business Preferred from Chase. For various reasons (which I explain below) I thought this would be the best option for someone who only wants to get one card. The more I thought about it, I realized the Ink Preferred is probably the best business card out there regardless of how many cards you want to juggle. Old, weathered, card-churning veterans should want this card just as much as a newbie who wants to keep it simple. Whether you want one card or many, the Ink Preferred is the best! After even more thought and some discussion with a couple of my card buddies, it hit me: The Chase Ink Preferred is the best card out there, period. It not only beats all other business credit cards, but all personal ones too. It’s the best whether you’re just dabbling in the credit card game or if you’re a Value Tactics fanatic. Let’s look at the reasons why the Chase Ink Preferred is the hottest card out there right now. Unless this is your first visit to ValueTactics.com, you know that the majority of a credit card’s value is in the sign-up bonus. The Chase Ink Preferred is no exception. After spending $5,000 in your first three months with this card, you’ll earn 80,000 bonus points. For our weekend get-away to Costa Rica in February, I transferred 5,000 UR points to my Hyatt account so I had enough a third night at the Andaz Papagayo Peninsula. The room value was $546.92/night, so those Ultimate Rewards were worth 3.65 cents each. For my upcoming trip to Europe, I booked a Polaris Class United flight with miles transferred from Ultimate Rewards. The value of this redemption works out to 5.82 cents per point. I am almost ready to book flights for our fall vacation. I will either be transferring Ultimate Rewards to Southwest for a value of about 1.7 cents per point, or using points at the Ultimate Rewards travel portal to buy airfare at a rate of 1.5 cents per point. Let’s split the difference and say 1.6 cents per point will be the value for this Ultimate Rewards redemption. The worst possible way to redeem Ultimate Rewards is for cash, where you’ll get 1 cent per point. As you can clearly see, Ultimate Rewards are worth well over 2 cents per point when used wisely . . . and that’s being conservative. My personal lifetime average for Ultimate Rewards is 2.86 cents per point. After the $5,000 required spend to get the bonus, you’ll have a minimum of 85,000 points. At my lifetime average redemption rate of 2.86, 85k points is worth a whopping $2,341! Even at the crappy cash-out rate, 85k points is still worth $850. And all this for paying the initial $95 annual fee and making the minimum spend. Not bad at all! If you’re going to apply for the Ink Preferred, I would appreciate it if you click through this link. You get the same 80k offer and I also get some bonus points for sending you there. Thanks! Besides the amazing sign-up bonus, the Ink Preferred is a strong contender based on its other perks. These perks include bonus categories for regular point earning, a bonus when redeeming points for travel, and various protections on purchases. This card also has no foreign transaction fees, which comes in handy when traveling abroad and can save you some money when ordering from foreign websites. Using a valuation of 3 cents per point for Ultimate Rewards, you could look at it as an automatic 9% discount in all of these spending categories. 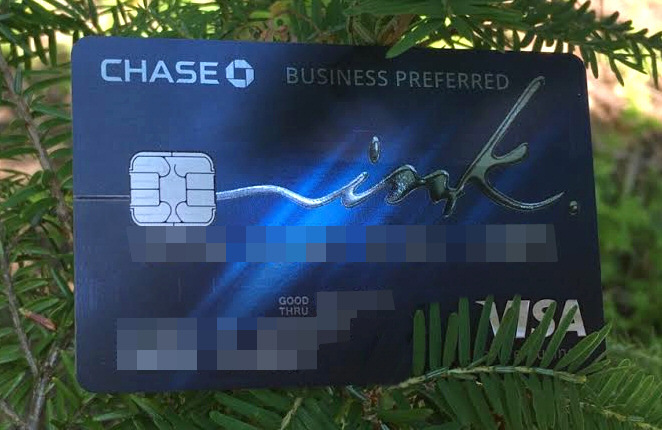 The Ink Preferred is the latest version of Chase’s “Ink” business card line. I currently have the Ink Plus (pictured). The Preferred has the best bonus I’ve ever seen on an Ink card, 80,000 Ultimate Rewards points. When making purchases with the card, you will be covered with the following: trip cancellation/trip interruption insurance, roadside dispatch, auto rental collision damage waiver, cell phone protection, purchase protection, extended warranty protection, and price protection. I have to admit, I need to look more into these kinds of benefits on all of my cards that come with them. The restrictions, limitations, exclusions, and other terms involve quite a load of fine print on all of these. However, I know people who have used them and saved hundreds of dollars. You can read the fine print yourself to see if these coverages make a big difference in your overall picture of this card. Personally, I look at these coverages as a nice little bonus but I’m not going to let them affect my decision on whether or not to get a particular card. 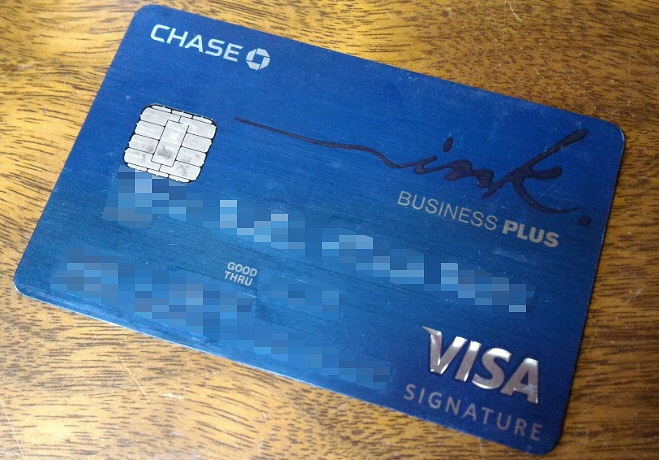 Should you get the Chase Ink Preferred? Yes!! What kind of question is that? I just explained how it’s the best single card out there! Ok, ok. . . let’s nuance my answer a bit. Do you have to be a business owner? Yes but you might be surprised to find out what qualifies you as a business owner. Obviously Brenda from “Brenda’s Hazmat Services” is a business owner. If you are John from “John’s Christmas Tree Farm and Flu Vaccine Emporium” you are also obviously a business owner. Do you earn bicycle racing prize money and have expenses to support your racing? Do you run a website that generates ad revenue? Are you in a construction trade and make income with side work? Do you sell giant soccer balls on amazon and ebay and have related expenses? Do you spend weekends buying and selling antiques at flea markets? These are only a few examples. One beautiful thing about the United States is that there’s no clear line that says when you are in business or not. Use that to your advantage when applying for business credit cards. My usual advice is to use your full name and personal SSN if you’re not incorporated, and use your honest income figures or estimates of your income from whatever endeavor you are calling your business. It’s a pretty easy decision in my opinion. If you don’t currently have it and you are eligible to get it, get it now. (Of course this assumes you have a plan to meet the $5k minimum spend requirement in the next 3 months). Since it’s the best credit card available at the moment there are few, if any, reasons to prioritize any other cards above it. By not prioritizing the Ink Preferred, you also run the risk that the 80k bonus will downgrade to 60k, which is the historically typical bonus on Chase Ink cards. The Chase 5/24 rule applies to this card. If you have had 5 or more new cards opened (even as an authorized user on someone else’s account) at any bank within the past 24 months, your application will be denied. The Chase Ink Preferred is currently the best credit card out there. The fringe benefits and category spending bonuses are valuable, but the major value is in the 80k sign-up bonus. Ultimate rewards are so versatile that they fit into any points and miles strategy. This entry was posted in Card Reviews, Chase, Credit Cards, Ultimate Rewards and tagged Ink, Ink Preferred on July 7, 2017 by Gomanson.